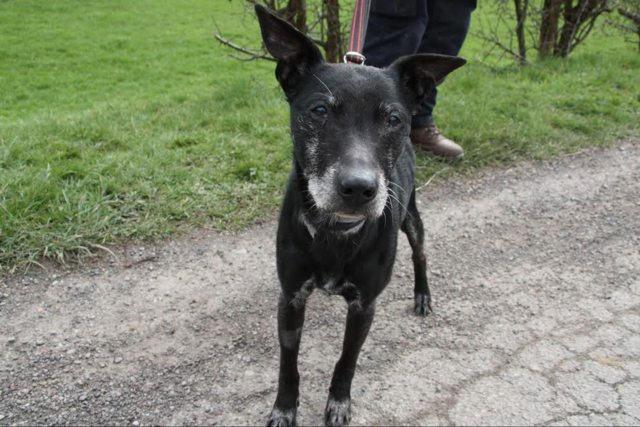 Max is a 15 year old, male Whippet Cross. Max is a lovely old boy who is looking for a quiet retirement home where he can spend the rest of his days taking things easy and curling up on a comfy bed in front of a lovely warm fire. He is a nervous dog who is shy until he gets to know people and he can easily become worried and frightened so Max will need an owner who can manage his nervous nature and help him to feel comfortable and safe in his new home. Max walks nicely on a lead and whilst he would prefer an adult only household may be able to live with another, steady dog. He has basic housetraining and is happy to be left alone for short periods. He loves to snooze and is very keen on food and treats.